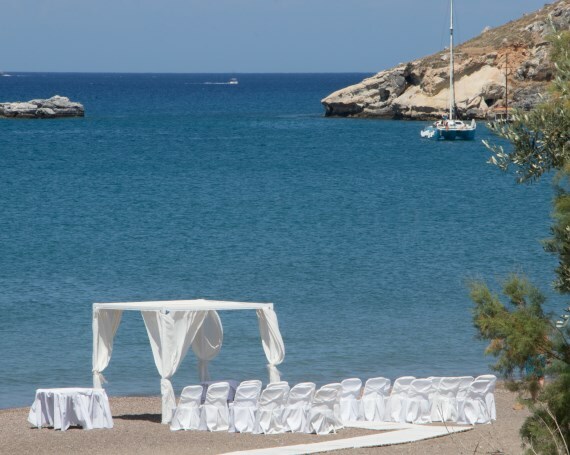 This popular Lindox wedding and reception venue 'Lindian Jewel,' is situated in the bay of Vlicha and is easily accessed easily by a boat cruise directly onto the beach in front of the hotel, or via a short car journey from the village and ceremony locations of Lindos. 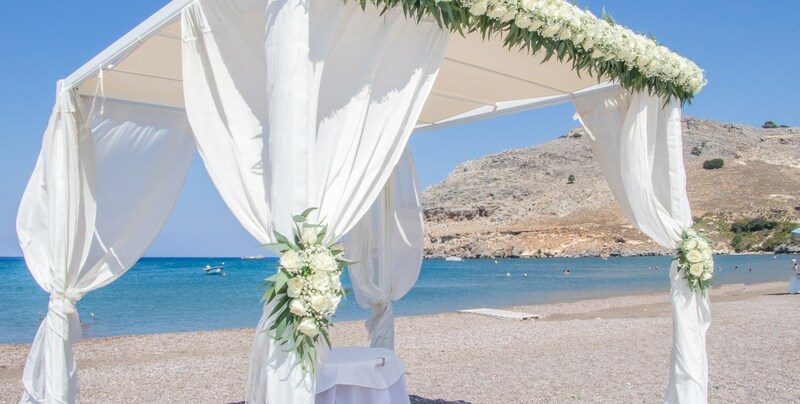 Say I do under the white washed beach gazebo with the amazing contrast of the sun and sea behind you. 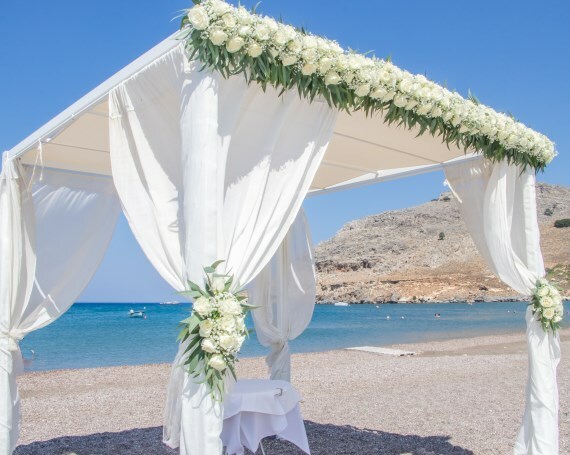 After the wedding ceremony you will make your way to the 'Azzurro' lounge bar on the lower level and the 'Lindian Jewel,' wedding dining area on the upper level. The pre-dinner drinks and evening entertainment are held in the Al Fresco 'Azzurro' lounge bar on the lower level. You will find comfortable seating and sea views whilst you enjoy your pre-dinner drinks. In the evening this lounge bar comes alive with a dance area and your choice of evening entertainment. 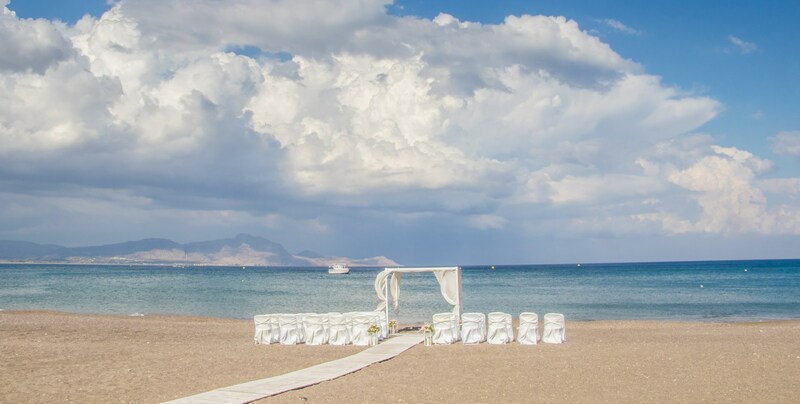 The venue may be used as ceremony only or ceremony and reception. 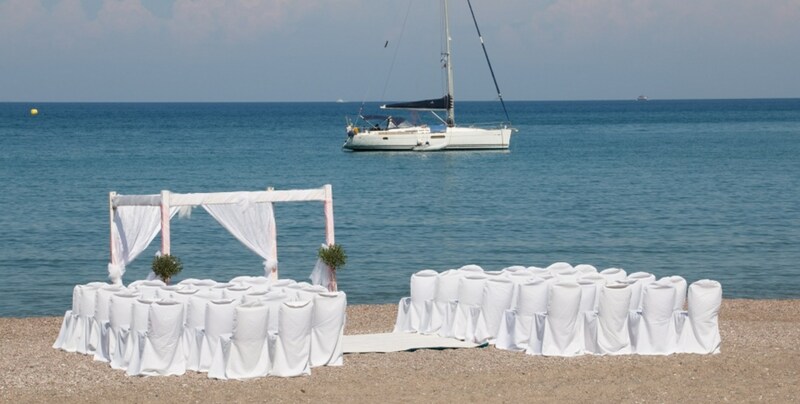 Additional fees apply for this venue for the set up of beach location.